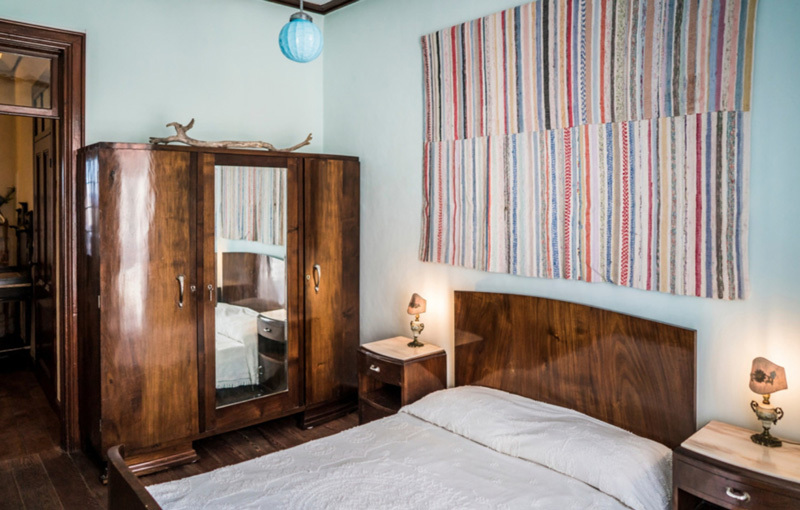 Find your home away from home on the beautiful volcanic island of Sao Miguel at Quinta Oceania, located on the south side of the island in the center of a rural village. 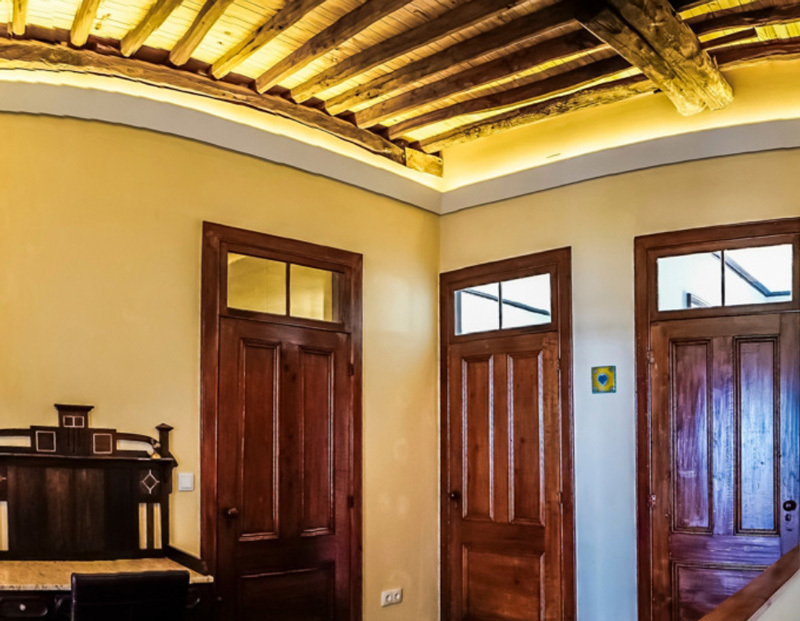 Our farmhouse blends old world village charm with natural inspired architecture and history of the Azorean culture. Amongst our beautiful gardens and vineyards, enjoy sunrise and sunset views overlooking the ocean, and ‘moody’ mountain skies behind you. We offer four rooms in our farmhouse, and three (coming soon) eco-pod cabanas in our gardens, all of which are perfect for traveling couples, families and groups. Book your stay with us (see european rates below), and immerse yourself in nature’s paradise. 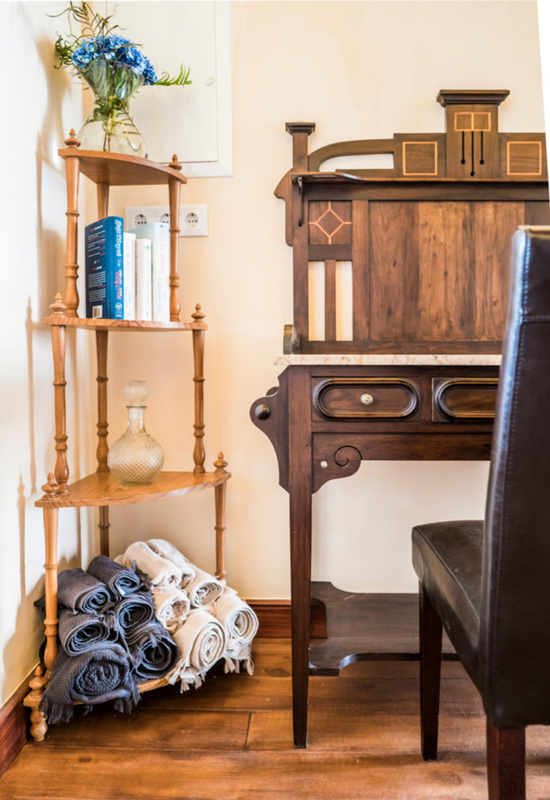 General amenities include: WiFi, wood stove, housekeeping essentials, hot water, street parking, garden + wine vineyard, kitchen essentials, outdoor grills and cliff gazebo. Smoking is not permitted inside farmhouse or cabanas. Please visit the ACTIVITIES page for a curated stay with us. 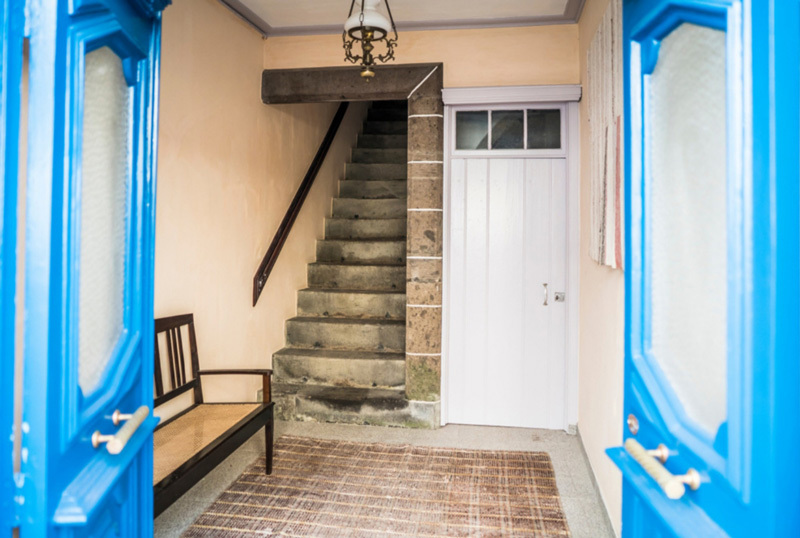 Double bed with shared bathroom and study – sleeps 2. Street facing. Can convert to suite with shared door to twin room. 2 twin beds with shared bathroom and study – sleeps 2. Street facing. Can convert to suite with shared door to double room. Queen bed with kitchenette, private bathroom and balcony with ocean views + second room with twin bed(s). Sleeps up to 4. Each eco-pod (we plan to have 3) offers cozy, yet spacious accommodations with outdoor bathroom and kitchen access. These solar powered units have tablet/phone charger outlet, and are stocked with wine. They sleep up to 4 guests, with elevated double bed and lower lever double bed sitting/sleeping area (see prototype interior photo below). Our farmhouse (+ cabanas coming soon) offer everything you and your group will need for an enjoyable stay. There’s plenty of space to spread out and feel at home, including fully equipped kitchen, living room, dining room, patios and cliff top gazebo. Private chef available at your request. Rates based on the farmhouse only, until cabanas are ready.